Independent wine merchants specialising in wines sourced directly from growers. The London shop is in Elystan Street, a fashionable street in Chelsea characterised by high quality food shops and restaurants. The layout of the shop has been designed as a sequence of areas and display layers: the new shopfront, the retail area, the counter and behind counter display, the office area. 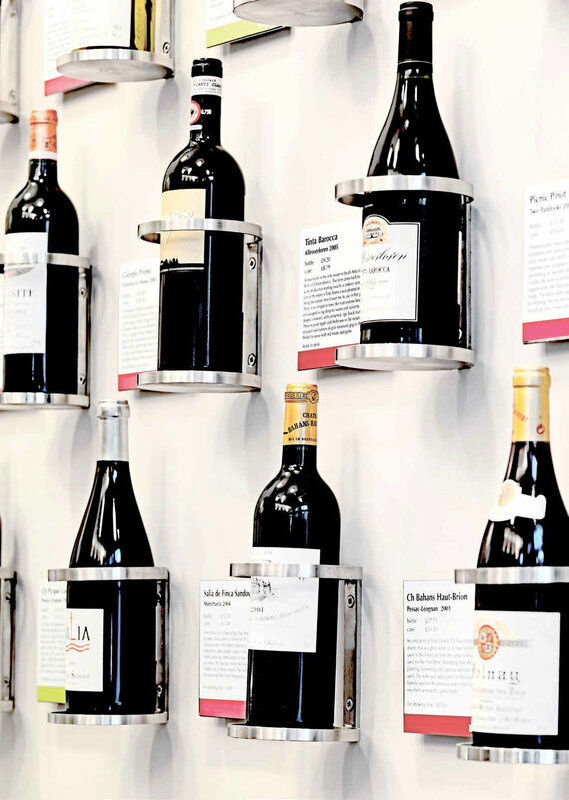 Materials, lighting, storage and display have been selected to show the wide variety of wines in the most effective way.